Find the treasure together with the professor! 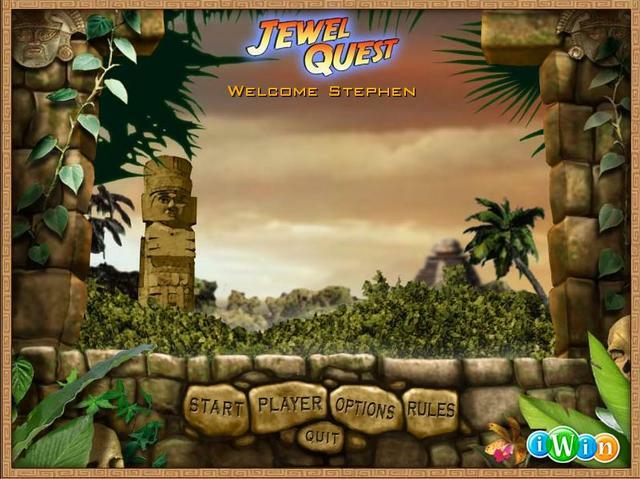 Jewel Quest was available as a giveaway on March 23, 2019! Help Anastasia fight with hideous monsters! Explore the ancient ruins of Mayan civilization while discovering hidden treasures and priceless artifacts. In this unique new take on the Match 3 genre, you must rearrange valuable relics to turn sand tiles into gold. When all of the tiles in a puzzle board are golden, you win! 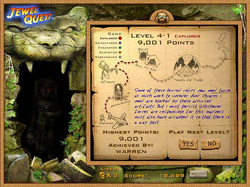 As you venture deeper into the jungle, you will encounter increasingly difficult puzzles containing secret twists, cursed items, and buried artifacts. 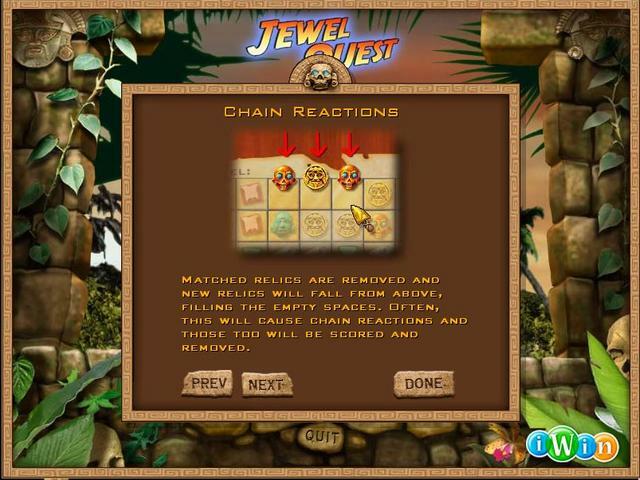 How would you improve Jewel Quest? 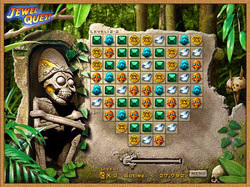 Jewel Quest is the first of the Jewel Quest series of match three games, released almost 15 years ago in 2004. Jewel Quest downloads to a 22.5 MB zip file that unzips to three files, (a setup.gcd security wrapper the set-up file and a read me). The game installs to the following path by default, but can be changed if you wish. The installed game is approximately 15.9 MB (19.4MB) in size. 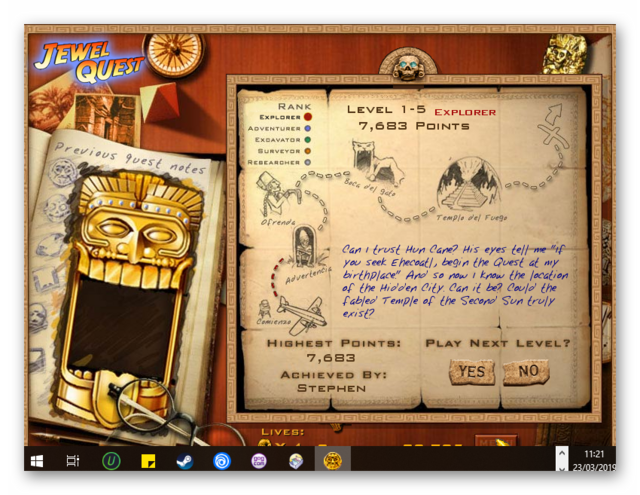 Four shortcuts are installed to the desktop; the shortcut to the game, plus three others ''Play Online Games, MyPlayCity Games and a shortcut to a free online game. These latter three shortcuts can be deleted once the game has been installed. The Themida wrapper may alert your security and even block the installation; there are details about this issue in the read me that unpacks from the downloaded zip file. Once a grey and experienced professor found the notes which were made in his diary some years ago. The writing says about a strange grid with mysterious puzzle solving of which may lead to the powerful artifact. 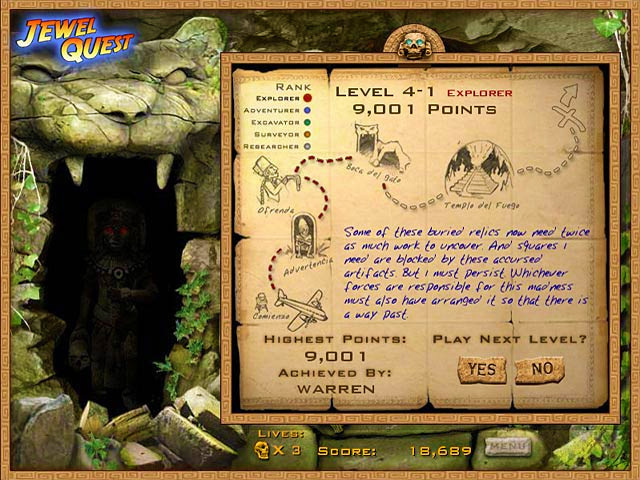 The professor was so fascinated with the Mayan treasures hidden in the wild forests he decided to take the challenge this time. His Jewel Quest starts! Traveling from one location to the other he has to match similar objects in the line of 3 or more. Once matched the tiles activate the ancient magic which turns sand into gold. As soon as the game field becomes entirely golden the level is completed. The grid which seems easy at first glance gives a lot of unpredictable surprises to the excited professor. First, some new tiles appear to make his life even harder. Then it becomes more and more complicated increasing in size and acquiring numerous corners. Finally, there appear special tiles which are either cursed or contain parts of the artifacts. 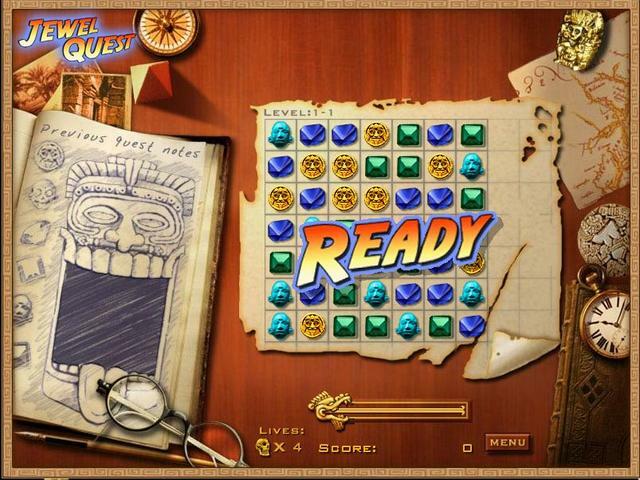 Do not wait for an easy life in the mysterious Jewel Quest game - you have to think hard to find the Mayan treasure. However, the pleasure you get while solving complicated riddles cannot be compared to anything. Don't waste your chance to explore the ancient ruins and get something precious for it. 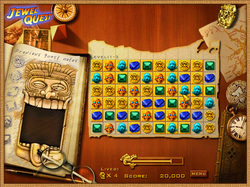 Download the awesome Jewel Quest game right now absolutely for free and find the treasure together with the professor! Who knows what is waiting for you in the end! 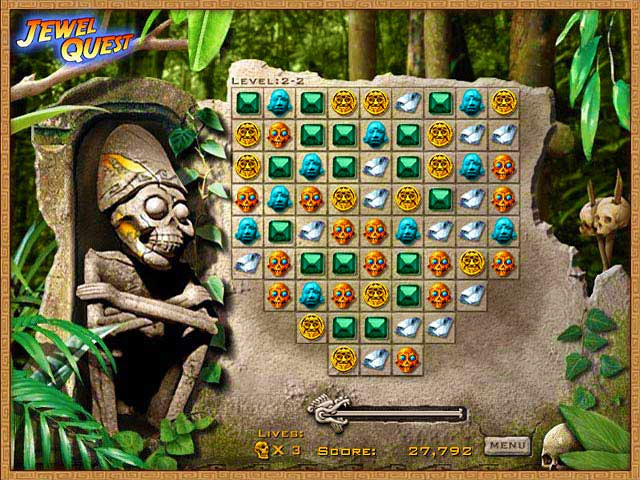 It'd be easy to write that it'd be easy to dismiss Jewel Quest as yet another Bejeweled clone, but that would be lazy - spend more than half an hour with it and it's fairly obvious that it's actually put an interesting slant on it. Instead I will dismiss the allusion-to-the-ease-of-hapless-dismissiveness approach, and focus on the other obvious intro fodder: the incredibly brilliant story that nicks all sorts of bit from the Mayans and uses them to justify tile-twizzling. "If I'm not mistaken, the creature who emerges is the dreaded Chimalmat, she with the eyes of ruby and lust of vengeance. The Popol Vuh speaks about how she birthed Cabrakan and Zipacna. As vicious as she is known to be, surely she will reward me for freeing her children." Later your quest descends into the selfish pursuit of the "Stelae", which is apparently some sort of tablet containing the meaning of life made out of molten aluminium. Or something. The "Popol Vuh" remains something of a mystery (i.e. I got to the point where even Googling these things became boring). 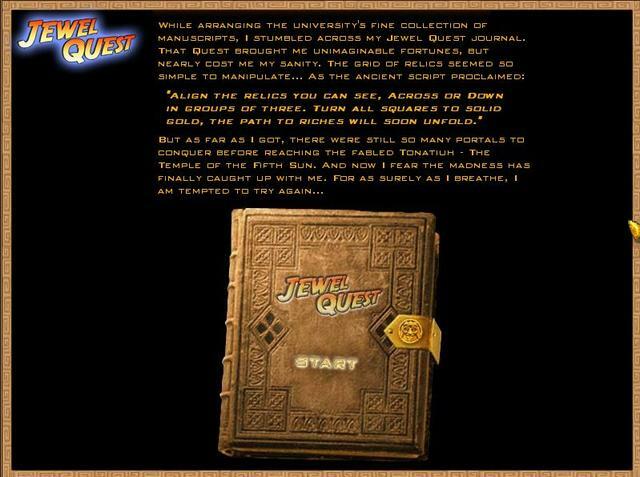 Fortunately Jewel Quest is not exactly story driven, although I certainly enjoyed the little interludes - at least until they gave up even trying for a consistent narrative and just starting pasting Chuchill quotes, giving the game the air of a spam email. "Endeavor Societies church addition Christian pledge following special ways which they forward ever held before member For sake character future success Tleyquiyahuillo etc." Insert game. Poor show. But, as I say, none of this is the point. The point is to manipulate squares on a grid, each of which has a little "relic" on it, so that you can create lines of three or more identical relics, which then disappear. As with Bejeweled/Zoo Keeper/et al, you can only swap around two adjacent tiles, and you can only do so if you're creating a line of three or more. 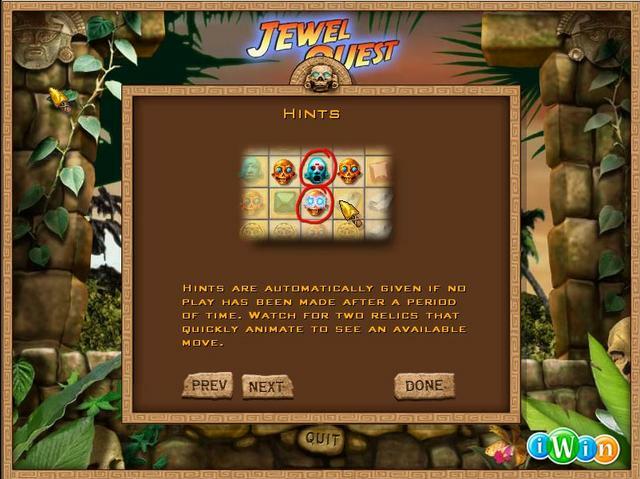 The difference between Jewel Quest and the games whose central mechanic it's riffing on is that here you're not trying to reach a score or clear the decks (indeed, you can't clear them), or even trying to top up a timer. Instead, you're trying to create a line of relics on every square on the grid. Whenever you get some relics to vanish, the squares underneath them change to gold, and you clear each stage by turning the whole lot to gold, which isn't as easy as it sounds. Well, actually, to begin with it is as easy as it sounds. In fact, if you've any experience of the other games I've mentioned, it's boringly simple, and you'll sit there wondering what the fuss is about, and bemoaning silly little oversights. For example, you swap tiles by selecting one with A and pushing the direction you want to send it on the analogue stick or d-pad, but you can't perform these actions while relics are disappearing or chain-reacting. Zoo Keeper on the DS's brilliant fluidity owed so much to being able to move other tiles while things were still unfolding elsewhere on the grid - given that these little tile-swappers are practically a genre of their own now, you'd think they'd be nicking each other's best ideas (particularly since the fonts used in Jewel Quest suggest iWin's not averse to casual thievery). But the niggles soon become a footnote to what turns out to be a very enjoyable little puzzler, as the developer introduces grids with twists (and holes, and burrows), forcing you to scheme appropriate chain reactions to convert difficult-to-reach squares to gold. For example, you might find yourself up against a grid with a line of three squares stretching off the bottom. In order to convert the deepest of the squares, you need to line up a reaction that'll send appropriate relics into the depths when the ones below them disappear. Simply vanishing relics wherever you see them isn't good enough to make any concerted progress. iWin claims that you get 180 levels for your money (not that we have had to pay for it), although actually there's quite a bit of repetition. The variation comes from the addition of fiendish obstacles, like immovable "partially buried" relics that you need to work around, creating a line for them to become part of by arranging fitting chain reactions and so on. Only then do they become maneuverable themselves, so in effect you have to play them twice - not something that you'll find easy when they're buried deep in hard to reach places. You're constantly up against an emptying hourglass (well, a little stone head whose tongue's retracting) too, and you can't do anything about its progress, so as things become more complicated there's a definite sense of mounting pressure. Jewel Quest is about planning ahead rather than reacting; the pace is deliberate rather than manic. It's Chess next to Zoo Keeper's Operation. It doesn't evoke any particularly exciting adjectives, but it did swallow most of my weekend - and gave me all sorts of obscure words I might be able to get away with in Scrabble, which is more than most puzzle games do. 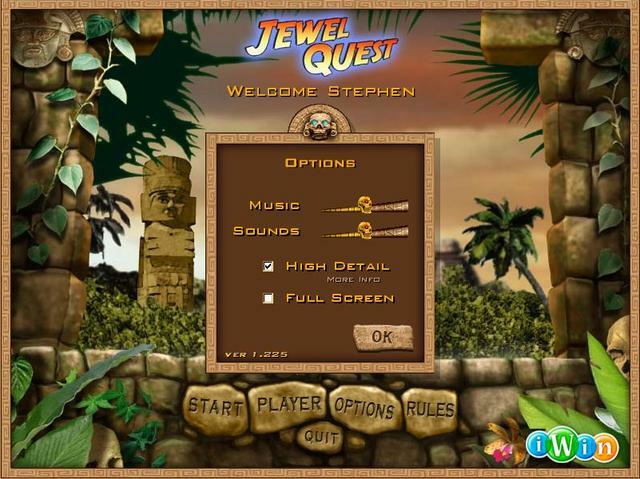 Although Jewel Quest is a little dated now (it was released almost 15 years ago), it is still an old favorite of mine. 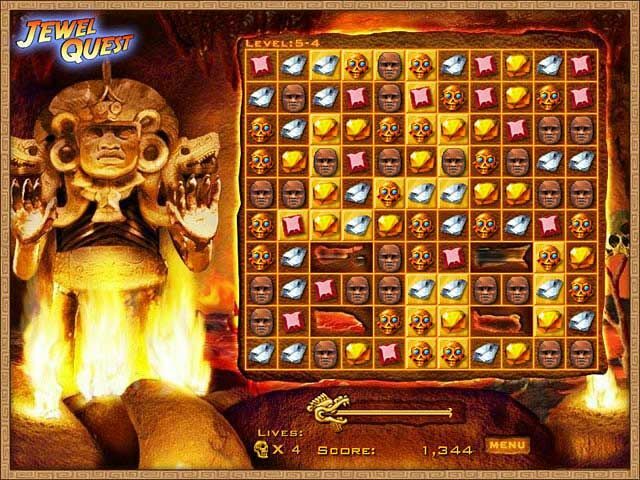 There have been many better match three versions released over the intervening years (my favorite being those variants that include an rpg element such as Puzzle Quest and Puzzle Kingdoms as well as the Treasures of Montezuma series). 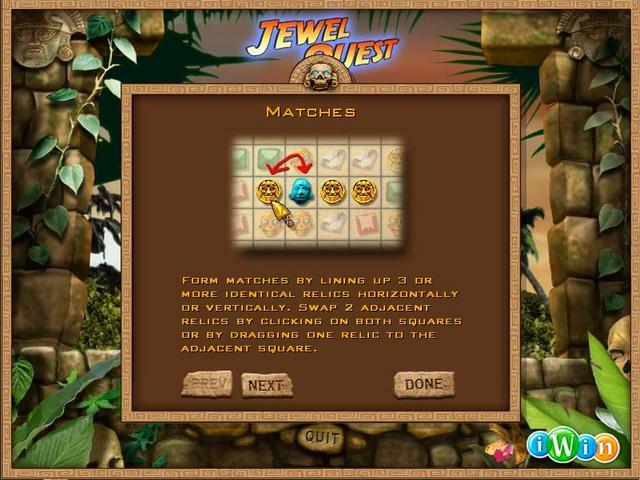 Jewel Quest gives you the basic match 3 mechanic and in my opinion despite its age is still worth downloading and playing. Back when it was released, I'd have given it a 9 out of 10. These days, after playing many improved versions, I'd score it a decent 7 out of 10. 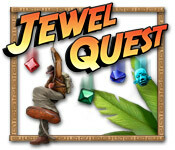 You can read other comments and other issues with Jewel Quest HERE. Also, you can see several in-game videos of game play HERE, HERE, HERE, HERE, HERE, HERE & HERE. If you miss today's game giveaway you can always get the game free 24/7 via MyPlayCity HERE, or play an online browser version HERE. If you prefer to purchase the game to ensure no adverts etc, you can get it HERE via Big Fish Games. You can also get the first three Jewel Quest Match three games in the series as a bundle via Steam HERE for £14.99/$19.99/€19.99/₽419 (when not on sale), and Jewel Quest Seven Seas CE HERE (£ 9.99/$12.99/€12.99/₽289). If you're having problems installing or activating or getting Jewel Quest to work please visit the FAQ's Thread HERE and read through the communities comments because sometimes fixes have already been posted, for example, a common issue seen since the Themida wrapper was introduced three years ago is that some community members installation of the game are blocked by their security because Themida code has been known to hide malware, (usually an error message is flagged for example 'The executable is corrupted' even though in reality it is not); so as a precaution some anti malware programs will block and even delete the suspect installation files even though the files (i.e. the setup, read me and setup.gcd files are actually totally free from malware. This issue can be solved either by rebooting your computer in safe mode with networking or a quicker method is to temporarily turn off your security software to allow the installation. You could also try white-listing the setup.gcd file. In the almost 12 years this game giveaway site has been operating there has 'never' been a game given away that was infected with malware. I'd like to take this opportunity to thank MyPlayCity for giving away Jewel Quest and also to the game giveaway team, as always, for securing other ways to get free games. If Jewel Quest doesn't interest you, but you still hanker for something new to play, you'll find details of some game deals whether they be sale items, indie bundles or games being given away for free HERE (I've not updated the thread in a while, but most of the links still take you to the latest deals). The rest of the information that used to be posted in the game review can be found in the forums HERE. Finally, check out Delenns threads for details of other free games and offers HERE and elsewhere in the game discussion forums HERE, (usually on the first page of the game discussion forums). The free game over at Epic Games is Oxenfree a supernatural thriller about a group of friends who unwittingly open a ghostly rift, ( worth £14.99/$19.99/€19.99). Oxenfree ends April 4th, where a new game called The Witness will be given away. Indie Gala have just added Memoranda to their free games list, plus another 20 free games in their recently added showcase section that includes adventure, RPG, Simulation, strategy and casual games i.e. Memetown USA, The Great Story of a Mighty Hero, Camp Sunshine, Five Nations, False Birth, GOR - Gorilla Office Rampage, Home is where Chip is, Age of Fear: The Free World, Die Legende von Saya: Befehl aus der Dunkelheit - (The Legend of Saya: Command from the Dark), What Never Was, The Last Humans: Awakening, Childhood, Dunwell, Safe Not Safe, Hi Hotel, Bugs Must Die, Cuadradito y Circulito, Hellino, Hovership Havoc and Wake Up , or you can find them all HERE. The Humble Store are giving away downloadable copies of Tacoma HERE, (ends Sunday late afternoon). Finally, there are some excellent bargains on sale via Steam HERE. 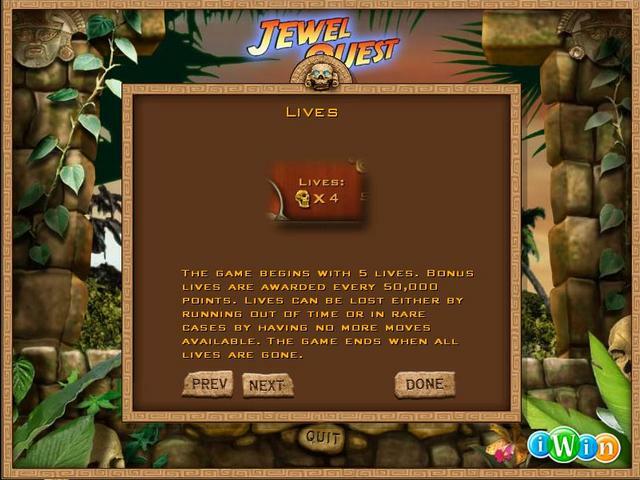 You can get most of the Jewel Quest match three games apart from Jewel Quest: The Sapphire Dragon from MyPlayCity i.e Jewel Quest II, Jewel Quest III, Jewel Quest Heritage, Jewel Quest: The Sleepless Star and Jewel Quest: Seven Seas. 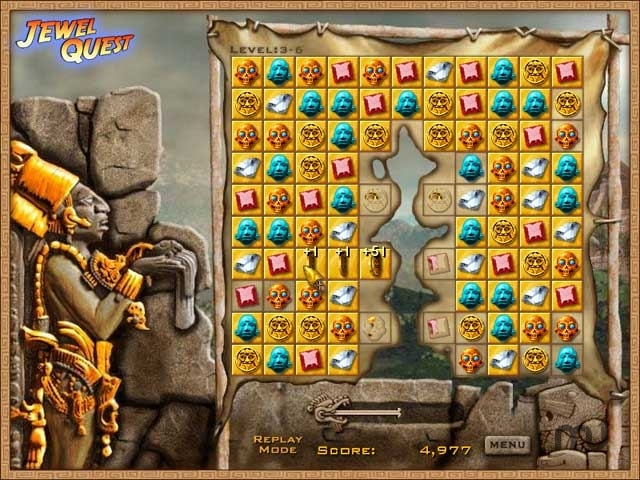 You can find Jewel Quest: The Sapphire Dragon HERE but I've not checked the sites integrity. 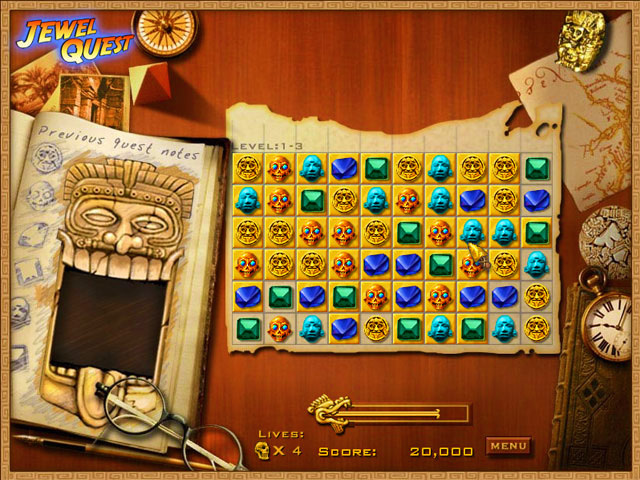 Also available from MyPlayCity are two of the Jewel Quest Hidden Object Mystery games, i.e. 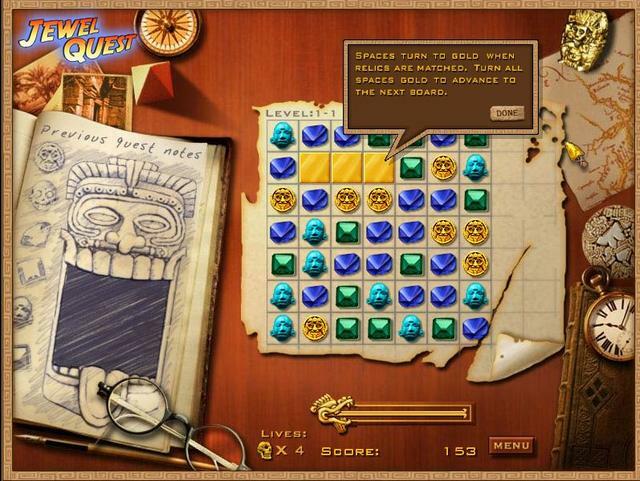 Jewel Quest Mysteries: Curse of the Emerald Tear and Jewel Quest Mysteries: Trail of the Midnight Heart. 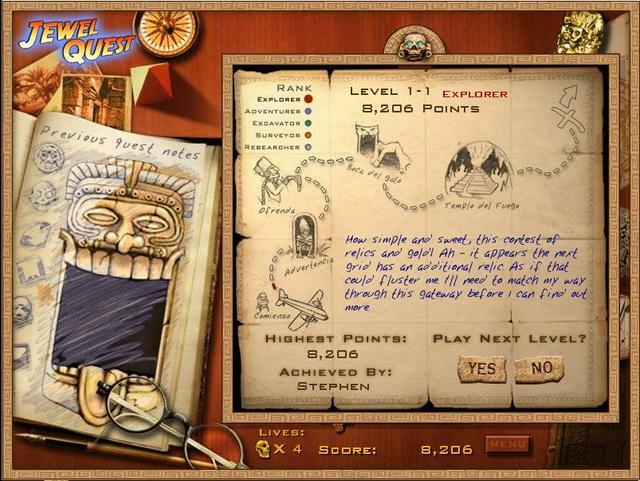 You can find free versions of the other Hidden Object games in the Jewel Quest Mystery series i.e. Jewel Quest Mysteries 2: Tail of the Midnight Heart and Jewel Quest Mysteries: The Oracle of Ur plus the three Jewel Quest Solitaire series (1,2 & 3), but I've never downloaded games from the sites I've found giving these games away so cannot vouch for their integrity. 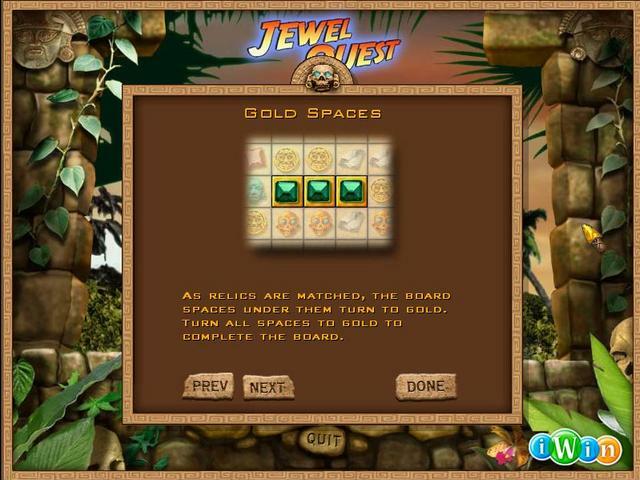 I have played all the Jewel Quest games in this series and continue to replay them. This started my journey with this genre of Match 3 and I haven't regretted it. The illustrations and game play is dated. The game is interesting enough and the progression while predictable is on queue. My only other gripe is that it's timed. I don't like timed games and as you progress through the levels the time seems to short in places. It's a fine rainy day game though. I gave it a thumbs up having extensively played the game. I don't know why, but I can't get the game to install. I turned off my antivirus, downloaded it, activated it, but the installation popup never comes. I don't know why, but I can't get the game to install. I turned off my antivirus, downloaded it, activated it, but the installation popup never comes. Jewel Quest is aktivated, but install is not running. Where is the mistake? It's possible that your security has blocked the installation due to the Themida wrapper. See the read me for details. It won't send a download link to an email address. Tried twice. Still nothing. Thanks for review being semi-fan (off & on interest) of genre. Of course improved versions of these have advantages but always wanted to try this one. Seemed for Android this particular game isn't that easy to find or just me. No biggie, prefer PC & monitor. PS As to the mention of free Memoranda I did check it else from elsewhere offer & reviews are quite poor for it, "flat" being the operative word. Glad tho for mention of freebie. Thanks for review being semi-fan (off & on interest) of genre. Of course improved versions of these have advantages but always wanted to try this one. Seemed for Android this particular game isn't that easy to find or just me. No biggie, prefer PC & monitor. PS As to the mention of free Memoranda I did check it else from elsewhere offer & reviews are quite poor for it, "flat" being the operative word. Glad tho for mention of freebie. Indiegala is giving away a free copy of Memoranda. Memoranda is a point and click adventure game, inspired by author Haruki Murakami’s surreal short stories. It is about forgetting and being forgotten. Magical realism elements tell the story of a young lady who gradually realizes she is forgetting her own name. Is she really losing her memory or is there something else that could explain the strange circumstances? Sorry busy here...Huggles to you and the family. Indiegala is giving away a free copy of Memoranda. Memoranda is a point and click adventure game, inspired by author Haruki Murakami’s surreal short stories. It is about forgetting and being forgotten. Magical realism elements tell the story of a young lady who gradually realizes she is forgetting her own name. Is she really losing her memory or is there something else that could explain the strange circumstances? https://freebies.indiegala.com/memoranda/ ***For Windows PC, Mac, and Linux**** Steam store page for Memoranda: https://store.steampowered.com/app/430410/Memoranda/ Sorry busy here...Huggles to you and the family.